The AWS access keys allow you to sign programmatic requests to AWS services. 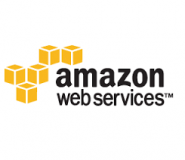 This is useful if you would like to run or execute a job that will access your AWS services. The access key will be validated and should it pass the validation, AWS will grant the access accordingly. This tutorial will guide you on how you can generate your very own access key through the AWS user console. The following steps will guide you further on how to accomplish this tutorial. Make sure that you’ve sigin to Amazon user console. At the top-right, click the username. From the drop-down menu, select “Security Credentials”. You will see your security credentials page right after the selection. Select Access Keys (Access Key ID and Secret Access Key) from your security credentials page. Click “Create New Access Key”. A pop-up windows with your Access Key ID & Secret Access Key should be generated.